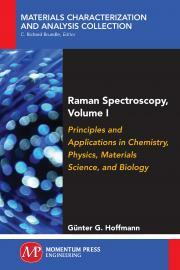 The book provides an up-to-date overview of the fast- growing area of Raman spectroscopy. The two-volume work describes how analytic methods using Raman spectroscopy allow for the chemical analysis of materials, providing even spatial resolution without precedent. In addition, external perturbations (strain, temperature, pressure) on molecules and their alignment can be analyzed. Raman spectroscopy can also provide information about the interactions of components, again at a high level of spatial resolution. In the form of tip-enhanced Raman spectroscopy (TERS), the method is a valuable tool for nanotechnology. This book is intended for researchers or lecturers in chemistry and materials science, who are interested in the composition and properties of their samples. It describes how Raman spectroscopy will enable them to examine thin layers, surfaces, and interfaces and improve their knowledge about the properties of composites. In addition, it can serve as a short introduction to vibrational spectroscopy. Günter G. Hoffmann received his diploma in chemistry and biochemistry in 1978 at Bochum University, Germany, where in 1983 he received his PhD. Postdoc positions brought him at the end of 1983 to Essen University and in the years 1985-1986 to the Max Planck Institute for Radiation Chemistry, Mülheim. 1986 he came back to Essen as assistant professor, where 1989 he won the Bennigsen- Foerder award of the Minister of Science and Education of Northrhine-Westfalia.